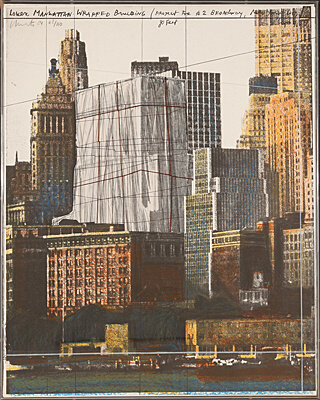 Christo and Jeanne-Claude were both born on 13 June 1935 and are among the most popular artist couples of the twentieth century. Jeanne-Claude died in New York City in 2009. They received international recognition for their jointly conceived wrapping actions, mostly of landscapes or architecture. 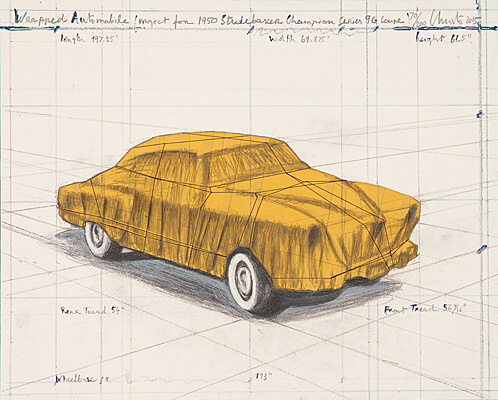 Christo took over the artistic part, while Jeanne-Claude was an excellent organiser for the often-painstaking detail work of years of preparation. Nevertheless, they always made decisions together in both areas. 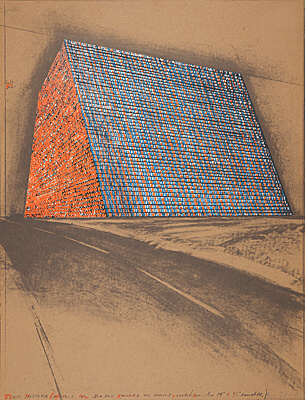 Christo, who did not want to follow the curriculum laid out by the communist government at the Academy of Art in Bulgaria, fled to Paris in 1957 via Vienna and Geneva. There, he initially lived under miserable conditions and earned his living by commissioned portraits. Through one of his clients, he met her daughter and his future wife, Jeanne-Claude. 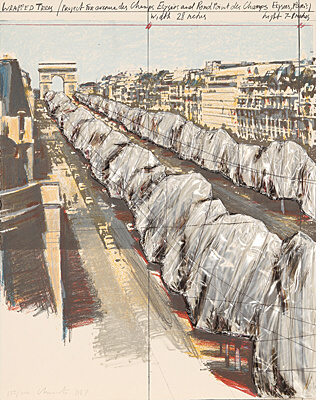 In Paris, Christo experienced the packaging chic of a capitalist world. 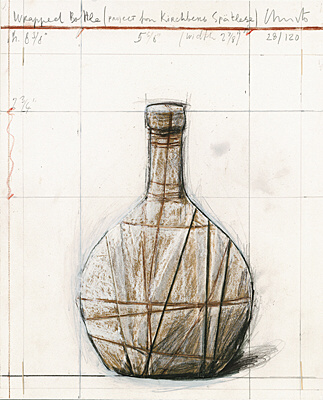 In this environment, he began with his first wrapped and packaged works, but used very simple and poor materials for these and staged his packaged objects in such a way that the object packaged becomes not only invisible, but the object suspected beneath the packaging becomes the centre of the viewers curiosity. 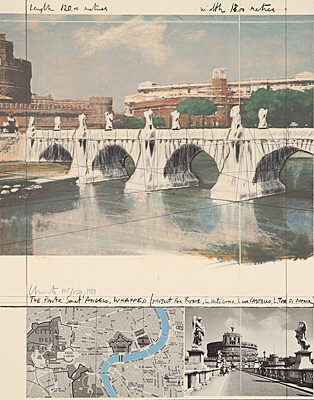 In 1961, the artist couple Christo and Jeanne-Claude staged their first project in a public space, a wrapping of metal barrels in the Cologne harbour. 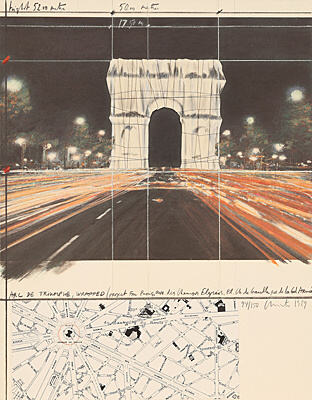 On 27 June 1962, Christo and Jeanne-Claude blocked the Rue de Visconti in Paris with large oil barrels, commenting on the recent construction of the Berlin Wall. Two years later, they moved their main residence to the USA. 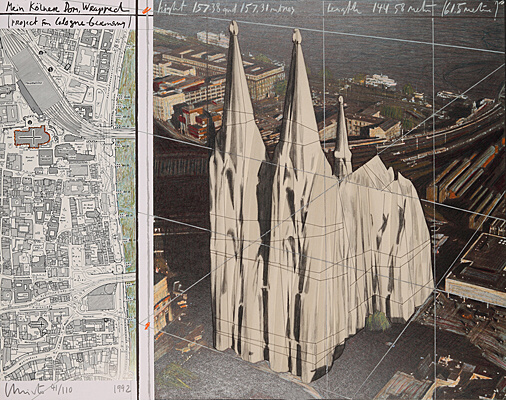 In 1968, Christo participated in documenta IV with a 5600-cubic-metre balloon-like object. Two years later, the spectacular project Valley Curtain was presented, for which the artist couple covered an entire valley in the Rocky Mountains. In 1980, another monumental project was realized, the Surrounded Islands, covering the entire shores of eleven islands near Miami. In 1985, the Pont Neuf was covered in Paris and, in 1990, the artist couple installed thousands of oversized yellow and blue umbrellas simultaneously in Japan and California. In 1995, the spectacular wrapping of the Reichstag in Berlin took place  the list of important examples of projects could be continued. 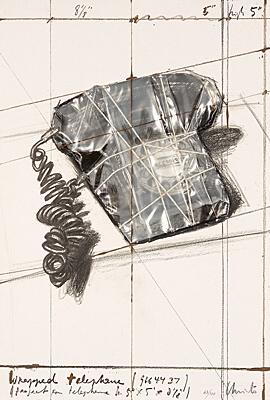 Christo and Jeanne-Claude did not create any lasting works of art with the wrapping actions, as all the projects were dismantled after completion. 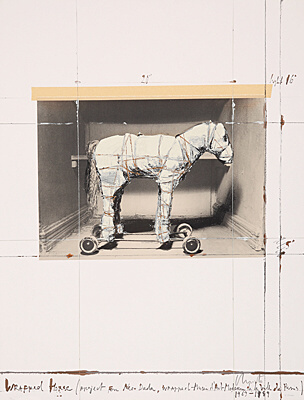 These projects are thus immaterial artworks in the form of lasting memories. For example, anyone who has been able to experience the Wrapped Reichstag live can speak of the unforgettable fascination that has remained in their memory forever. 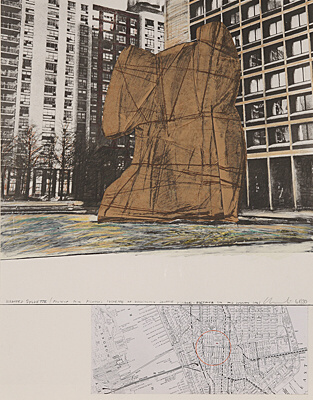 The projects were prepared by Christo and Jeanne-Claude over several years and were usually extremely expensive. The budget for the project Umbrellas, for example, was roughly twenty-six million dollars. 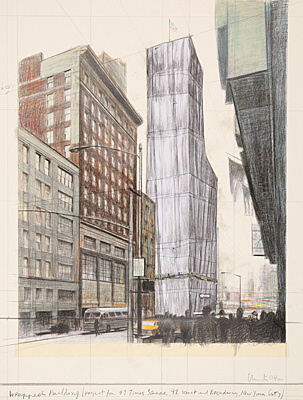 Christo always wanted to be free as an artist and therefore financed his projects himself and strictly refused the support of sponsors. 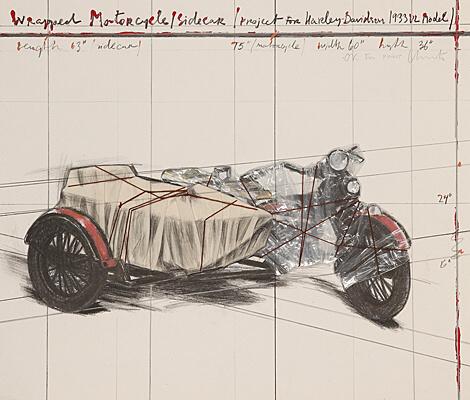 The projects were always financed through the sale of drawings, collages and print editions, as well as of photos or films.